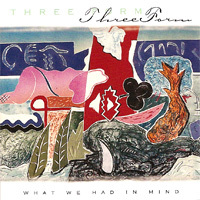 Threeform was my first Montana collaboration. I can remember rehearsing in the small, old farmhouse in the middle of a cow pasture (where I lived at the time) in January with snow so high the ¼ mile dirt driveway was all but impassable. I had never lived in a rural area before. It felt surreal looking for and rehearsing obscure Charlie Mingus songs. We had the great fortune to record this at OTR studios in San Mateo, CA with my old friend Cookie Marenco engineering and co-producing. I wrote Great Grey for the great horned owl that had a nest on the top of one of the very two large pine trees in our yard. I learned to call to the owl in a fairly good imitation of her “whoo-whoo-whoo” and welcomed her offspring every few years. CD purchase ($12.50 includes shipping and handling). Only available by contacting Ann Tappan.